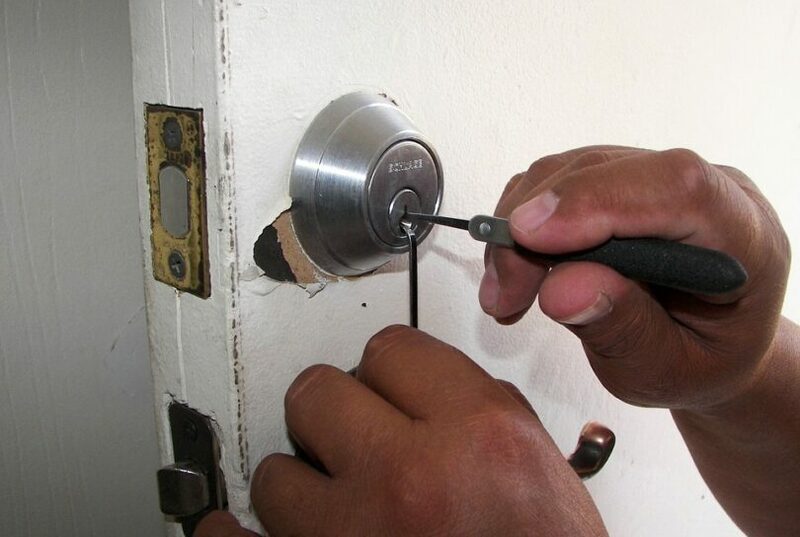 Many consider lock picking to be a hobby while others practice it as a profession. How many times have you lost a particular key or set of keys and struggled endlessly to open a particular lock? Have you ever broken or replaced a lock only to find your misplaced keys a few days or weeks later? It’s times like these that the best lock pick set will come in really handy! Not only is it important to choose the right tools, but it’s also advisable that you understand different mechanisms and how to achieve the best results. 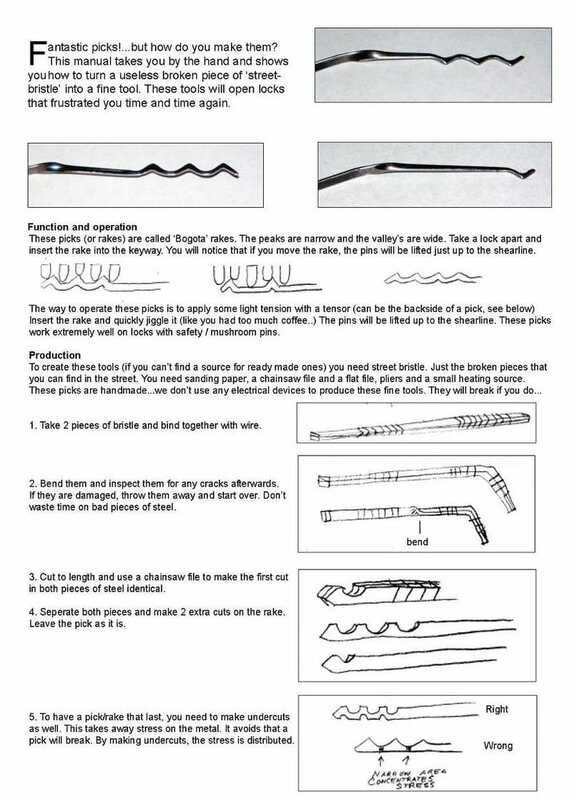 Along with a wide selection of tools, there are also several resources documenting precise instructions and guidelines. You can even sign up for professional training if you are considering a career as a locksmith. The picks available today vary as widely as the locking systems. There are different sizes, shapes and materials to choose from which can seem confusing to those who are just starting out. When choosing a set for your own personal use, it’s important to choose one that includes several tools. Diamond picks have a flat part at the bottom along with a ramp-like tip. The sizes of the tips vary as well as the angle of the head. These are usually used for wafer, pin-tumbler locks, and padlocks. Single ball varieties are round and often used for single-sided wafer locks. Double ball picks look like a snowman. The ball closest to the tip is normally smaller than the second one, and this makes it ideal for bi-direction wafer locks. Hooks have an upward bent tip which is also rounded. They are used on pin-tumblers and are popular among professionals. Rake picks used in a back and forth motion. They are divided into several groups and are usually wavy in shape. The C rake is used like a short hook. The S rake is great for pin-tumblers and has the most pronounced shape. The L rake is also known as a full rake. The W rake normally has a blunt tip with one high end and one low end. If you force a key, it could possibly break and remain stuck inside. You will need to remove the broken key before you can proceed. This is where you need key extractors. The technique will depend on the type of lock. Not all tools and techniques are known to work in every scenario. Pin tumblers, for example, will require a tension wrench to apply added tension to the cylinder. You will need to push each pin up until they line up just right. As you manipulate each pin, the cylinder will turn slightly, and this will hold each of them in place as you continue to work. After aligning all of the pins, you can then apply tension to open the lock. 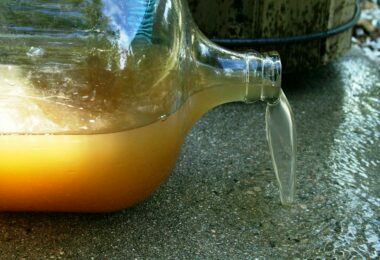 You can also use a raking technique before applying pressure on each pin. This can help push at least some of the pins up before you proceed. It can make the task easier and faster. If the pin tumbler has specific, oddly-shaped pins, it may require more specialized tools. Tubular versions are normally found on things like washing machines, vending machines, and similar appliances. In such cases, you will need a specialized tool with a tubular blade. Key cuts are made into the blade which is what makes them so effective. Combination locks will require different techniques depending on its design. You can open a cheap padlock by sliding a thin piece of metal between the shackle and body. Padlock shims (thin pieces of metal) are both cheap and easy to use. 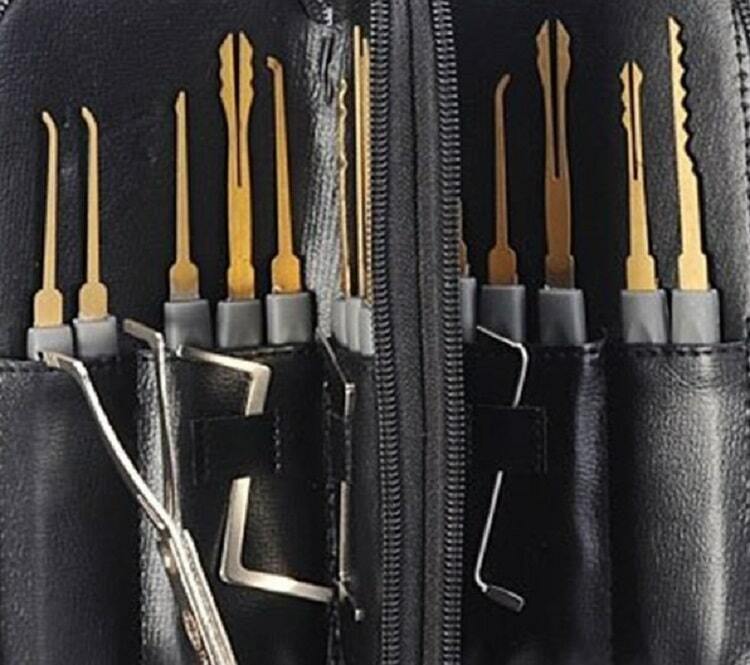 The ideal set will include a variety of picks and tension wrenches all housed neatly inside a convenient carrying case. There are various different brands to choose from, and this might cause confusion. The best tools are those that are rustproof. Bear in mind that some sets are designed for use on US-made locks while others are best suited for European and Japanese mechanisms. Look for the narrowest picks you can find. Not all of the tools in your kit need to be narrow, but you should have a variety to choose from. The narrower the tool, the more space you will have to move the pick around inside. If you intend on becoming a professional locksmith, you should invest in more than one set. One should consist of standard tools, and the other should include narrow tools along with those designed for foreign mechanisms. Again, if you are a professional, then it is advisable to invest in quality tools. These will usually cost more initially, but they will more than pay for themselves in the end. For those who are just starting out, spending a small fortune on these tools might not be a wise investment. Cheaper tools are best for beginners since they will allow you to learn without worrying about breaking or damaging them in any way. When learning the tricks of the trade, you will also come across several words of warning. As with any skill, there are several common mistakes that you should be aware of. One of the most common errors of all is the use of too much tension. You need some tension to turn the pick and open the lock, but you can cause serious damage if there is too much tension. 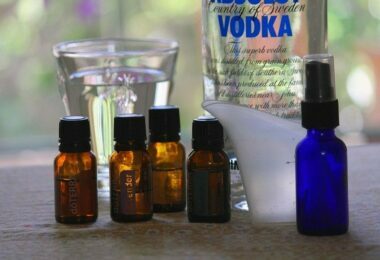 On the other hand, another common mistake is the use of too little tension. This won’t cause any damage, but it will make your efforts futile. Another novice problem is the use of the wrong tool or trying to manipulate the wrong tension point. When applying pressure to the pins, you will need to push them up. However, contrary to some misconceptions, it’s not advisable to press them up as far as they can go. They don’t need to be pressed upwards but not excessively forced. If you apply too much pressure and force even with just one pin too far up, you might cause more damage, and this will make your job that much more difficult. Many might argue that the biggest mistake is that of impatience. Whether you are learning or highly experienced, there is no substitute for patience. Take your time to do the job right rather than trying to rush through the process. This product consists of stainless steel and plastic. The set includes 20 pieces. Of which, 18 are designed for use on car locks. They are suitable for use on padlocks, deadbolts and more. They are compact, easy to carry and are good for beginners. Since they are priced at just over $20, they are also affordable. In terms of feedback, the responses have been positive in most cases. The product received commendations for its strength and durability. However, on the downside, the tension wrench is criticized for being on the thicker side which means that it might not prove effective on smaller or thinner locks. Since this product is priced at over $30, it is slightly more expensive than others but still affordable. The set consists of 7 picks along with 4 tension tools. They are all housed neatly inside a pocket case which keeps everything in place and makes your tools easy to carry wherever you go. There have been some comments regarding the durability of these tools. 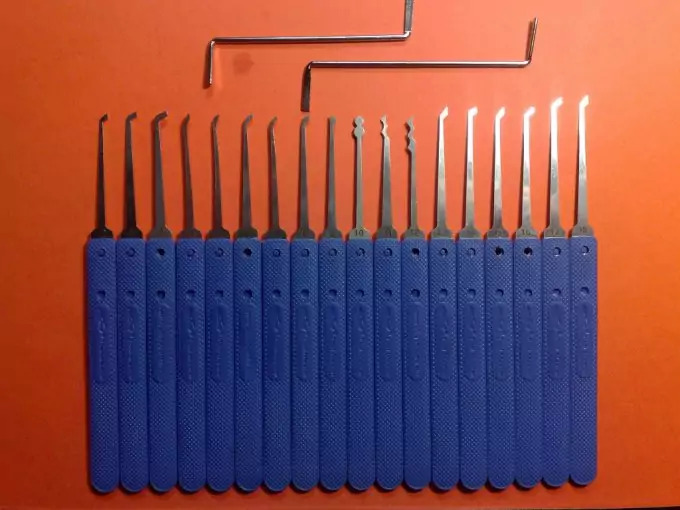 While some say that they work extremely well, others complained about the tension wrenches breaking, and the picks apparently tend to bend after a while. This set it great value for money considering the number of pieces and the reasonable price of just over $20. They are made from tough titanium and housed inside a leather bag. There are 20 picks along with 4 tension tools. This set is ideal for scissor and hook style locks. It is recommended for professionals as well as those just starting out. Unfortunately, there’s not much customer feedback relating to this product. The lack of reviews could mean that there is no real demand for this product and, therefore, not many sales have been made. On the other hand, people are far more likely to leave negative reviews than positive ones. So, perhaps several customers have bought this product, and they are happy with it but they don’t feel the need to leave a response. This is an interesting product used for effective and efficient lock picking. It’s lightweight and compact which makes it easy to take wherever you go. The stainless iron structure and chrome plating also helps preserve the gun so that you can get plenty of use out of it. This product ranges in price from $20 to $40 which means that it won’t cause a serious dent in your budget. According to product reviews, it works very well. 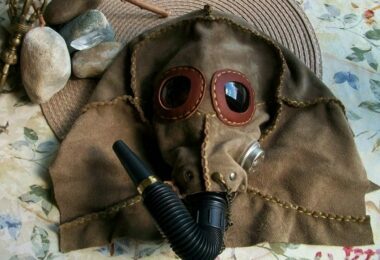 However, there have been complaints regarding the quality. The bold that holds the pick in place has been known to loosen which is an obvious problem. 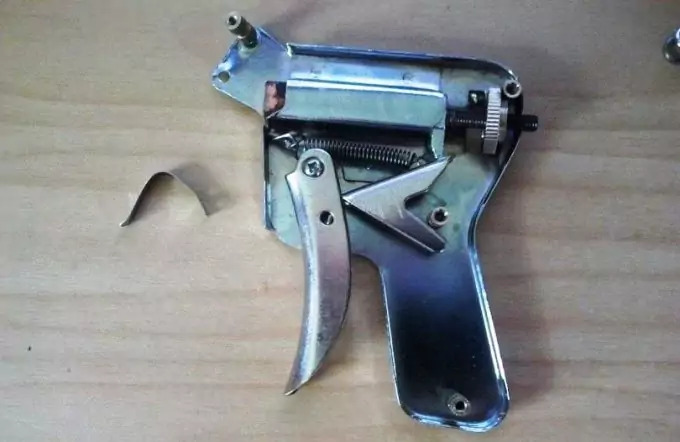 There has also been mention of the screws that hold the gun together falling out which, again, is an obvious issue. This could have been one faulty product, and it is important to understand that one review does not necessarily sum up the quality of any product. 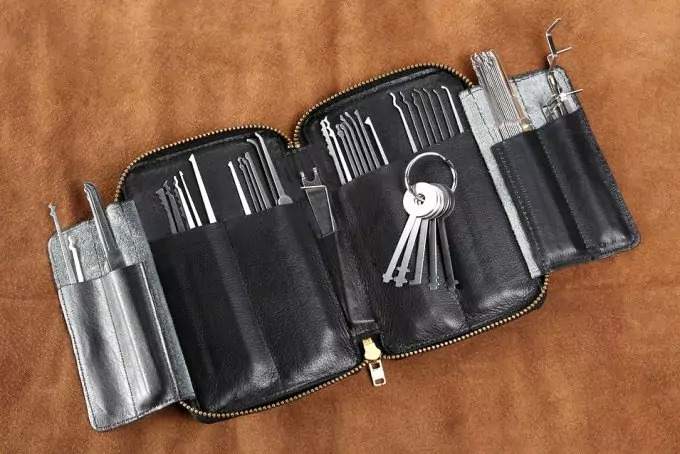 This set includes 20 double-sided lock picks. They cost about $30 which is a fair price when you consider how many tools you will be adding to your collection. They also have an interesting shape. Instead of a handle that resembles that of a screwdriver, they are shaped more like keys. They also do not require the additional use of a tension wrench and these picks can be used just like you would regular keys. This handy set is valued at approximately $20 and includes 8 pieces. The set consists of 90-degree, hook, 45-degree, double angle, complex, angle hook, combination and straight picks. They are made from high carbon steel which has been polished and heat-treated. The cushion grip makes them comfortable and reduces the chances of them slipping if your hands are wet or oily. This set is really versatile and, apart from proving useful when picking locks, it’s also popular for anyone who needs a hook-like tool to perform a particular task. According to several customer opinions, these products are sturdy and work really well. They are praised for being easy to use, and the only real concern is how the picks and hooks tend to come loose. This can be solved by using a suitable adhesive to glue them in place. Another possible problem is that the shafts aren’t quite as thin as some customers might like. This means that they are only suitable for wider locks rather than narrow ones. The price for this product varies from about $4to approximately $20. It consists of 12 pieces designed for key removal. More specifically, these tools are made to remove broken keys from cylinder type locks. 8 of the pieces are key removal hooks while the remaining 4 are removal needles. Their sizes range from approximately 04.mm to 0.15mm. Customers have enjoyed the benefits of using this product to extract broken keys from file cabinets, padlocks, and other types of locks. There have been some concerns relating to the quality and some customers say that their tools have bent. There are even some reviews that complain about the tools breaking during first use. That said, there are many positive reviews that praise this set for its price and ability to get the job done. In many cases, high-quality tools can be purchased individually. So, you can quite possibly create your very own kit based on your personal needs and preferences. The only possible downside of this is that you will not be provided with a carry case. In such instances, you will need to come up with a plan to keep your tools safely separated from one another so that they don’t get damaged during transport or storage. If you are particularly uncertain about which set to choose, you might benefit from seeing and holding the physical product. There are several resources available that will enable you to learn more about the different tools, skills and techniques. However, no amount of theory can possibly compare to the experience you get from the hands on approach. This is why so many aspiring professionals learn these skills from a trained and skilled expert. Another great way of learning and practicing is by purchasing practice locks. Like picking kits, these practice locks are available online and from various retailers. An interesting example of such a product is the popular transparent padlock. As you work on the mechanism, you will be able to see exactly what’s happening inside. After just a few tests, you will begin to get a “feel” for it and this is the most valuable skill of all. Some other tools include electric, lock pick guns, and specialized tools designed for opening car doors. 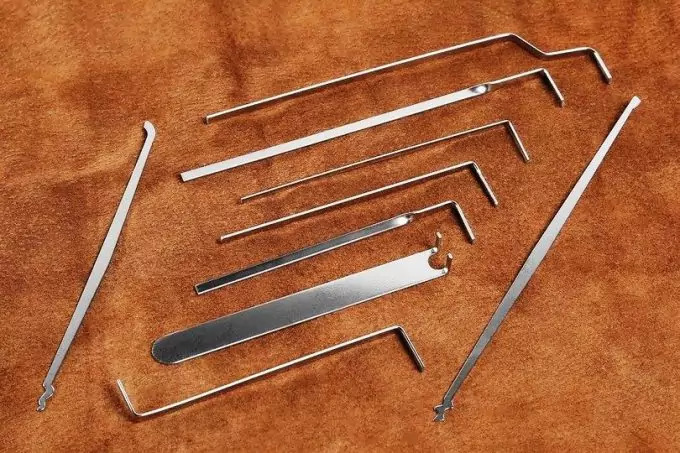 If you are looking for a specific pick or you simply wish to take on an extra hobby, you can make your own picks using spring steel. You will also need the right kind of equipment to file and shape your tools so that they will fit. Remember to always take your time and start learning how to work on the basic systems before trying anything more complex. Learning how to pick locks and investing in the necessary tools can come in handy even if you don’t plan to make a living from mastering this skill. They can come in particularly handy when you find yourself locked out of a particular room or if you need to access a locked object like a safe or file cabinet. When shopping for your first set of tools, it’s best to keep your budget in mind while comparing products and reading reviews. Every product has its fair share of positive and negative feedback which is exactly why it’s important to read through all the comments. While you do, take note of the user’s level of experience along with their opinion. Start with cheaper products if you are new to the trade. That way, if they do break or get damaged, you won’t be as concerned about the money. Check out our earlier tips on how to pick a locked door for more insight. It’s really a must-read!